The batch has been exclusively released in cask format; to my surprise it has proved successful enough as a cask beer, and ‘if it’s not broke, don’t fix it’. After its launch at the Easterfest in Cork’s Franciscan Well, it went on to make appearances at the ‘Brewers on the Bay’ festival in Galway, as well several pubs in Dublin including The Bull and Castle, L Mulligan Grocer, The Brew Dock, The Black Sheep, WJ Kavanaghs and Porterhouse Central. There was also Abbot’s Ale House in Cork, the Bloom Festival in Phoenix Park and the Irish Craft Beerfest in the RDS. Phew!! But it was the final leg on the journey, the last hurrah, that for me was indeed very special. 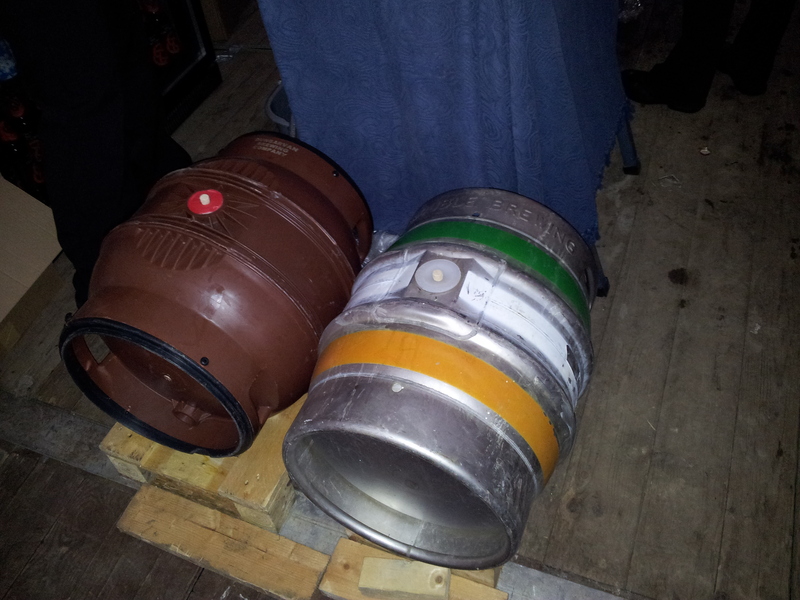 The last cask was tapped at the fledgling Artisan Beerfest in Waterford on Sept 14th. How fitting an event that turned out to be. Not only was Spelt Saison finally making it to my adopted county, but the beerfest was part of a larger Harvest Festival. Historically saisons were brewed as ‘farmhouse ales’, which the farmers supplied the field labourers to quench their thirst as they toiled in the fields during harvest time. Fitting then that a farmhouse ale was one of the many thirst-quenchers available at this years Harvest Festival, albeit not for field labourers, but a thirsty crowd nonethless. The Waterford beerfest was a huge success, far exceeding expectations in turns of numbers attending, and a great atmosphere to boot, so a hearty congrats to Metalman Brewing and ‘Flash’ of Revolution Bar. I’m looking forward to this event becoming a regular on the festival calendar, and who knows, maybe a beer I brewed will be at it again someday! 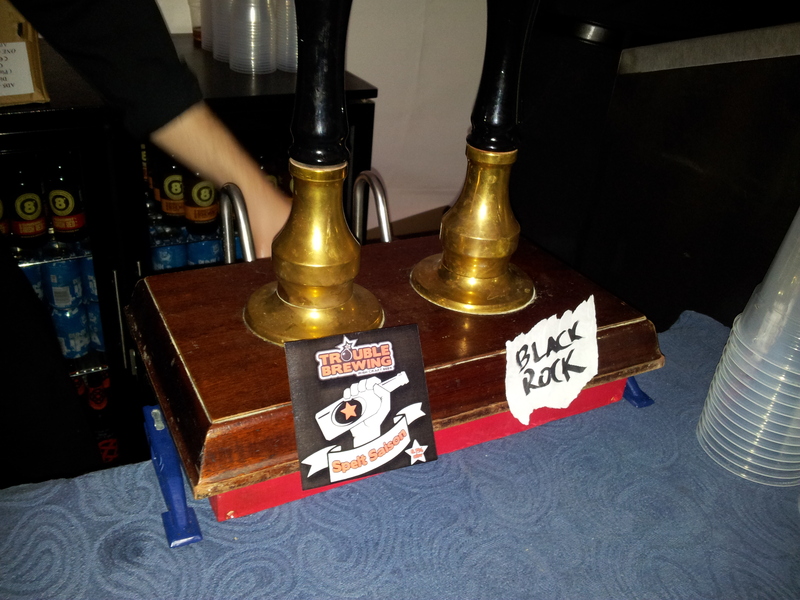 This entry was posted in Beer and tagged Artisan Beerfest, beer festival, Belgian Ale, Black Sheep, Brew Dock, Brewers On The Bay, Bull and castle. L Mulligan Grocer, Easterfest, farmhouse ale, Franciscan Well, Harvest Festival, Irish Craft Beerfest, Metlaman Brewing, Porterhouse, Revolution Bar, Saison, Spelt, Spelt Saison, Trouble Brewing, Trouble Maker, Waterford, WJ Kavanaghs. Bookmark the permalink. Lager, The Gateway Beer into The World of Craft Beer! To style, or not to style – is that really the question?